3:10 hrs. PBS. 2018. $12.99. ISBN 9781531701499. 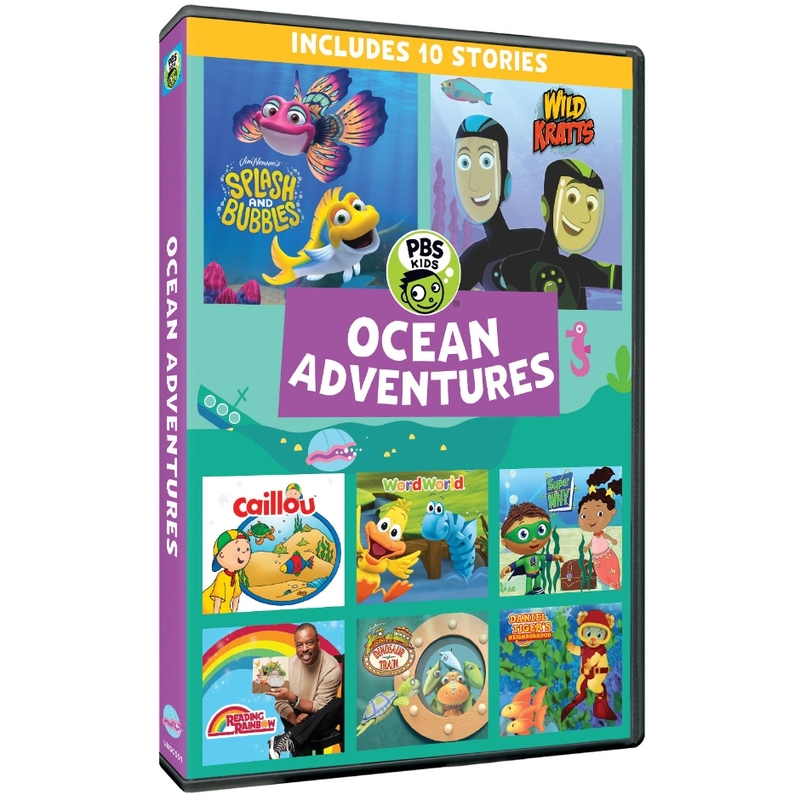 PreS-Gr 2—Ten episodes from popular series are linked together under the theme of ocean adventures. All are educational, fostering letter recognition, exploring feelings, and learning about nature. Viewers are drawn in by being asked questions and to find letters and objects. From Splash and Bubbles, Splash, a yellowback fusilier fish, is afraid to play hide-and-seek with his friends in the dark deep, but he overcomes his fear by discovering bioluminescence and the unique creatures that have this attribute. The episode ends with a "Get Your Feet Wet" segment during which facts are reviewed. Daniel Tiger is experiencing a day of many feelings. After disappointments and feeling sad and mad, he finds excitement in a library book about an ocean explorer, and he has a make-believe adventure underwater. The Reading Rainbow episode finds host Levar Burton diving in the coral reef with a reef doctor who is transplanting and mending coral. Related books are introduced by young readers. VERDICT The content and high-quality productions make this a recommended purchase for public and elementary school libraries.